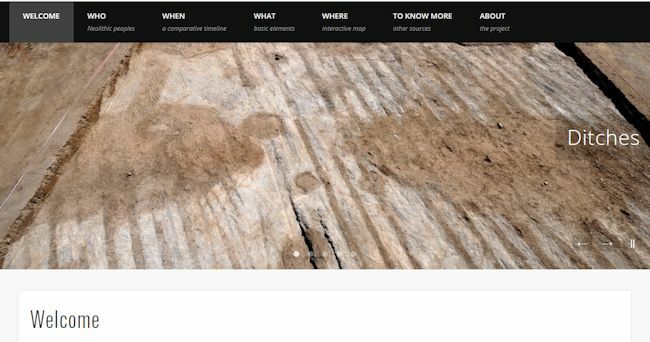 As part of the 'outreach' activities of a University of Southampton research project that Dr. Víctor Jiménez Jáimez has been developing the last two years, he has created a new website centred upon monumental ditched enclosures in Neolithic Europe. The visual language and the structure and form of the content have been designed for educational purposes. It's aimed at the general public, but it could also be a useful resource for Archaeology students and even researchers. It is completely non-profit.